This is a must try in Boracay. We paid for an additional 500 pesos to installed the 360 degrees video camera in the helicopter (it was supposed to be 1000 pesos, but pilot accidentally ended the video half way through after 5+ mins, so there was a 50% discount). I would suggest you not to plan any activity back to back as most of the activities we joined in Boracay has a delay of 30-60 mins. 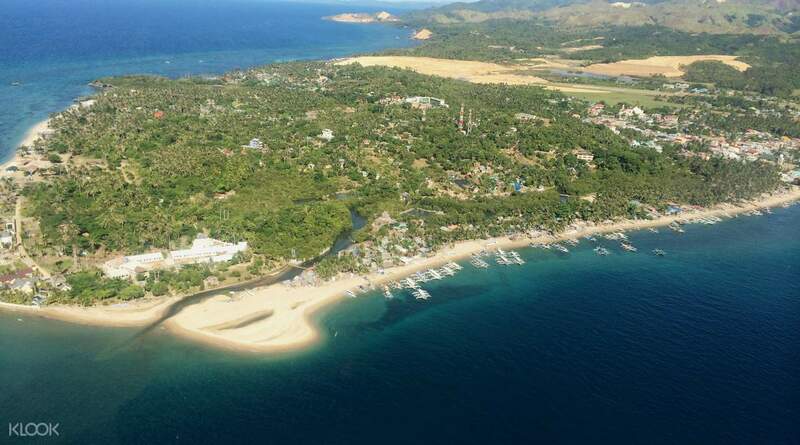 Witness the turquoise waters, white sands and stunning landscape of Boracay and its outlying islands from high above on an exciting helicopter ride. 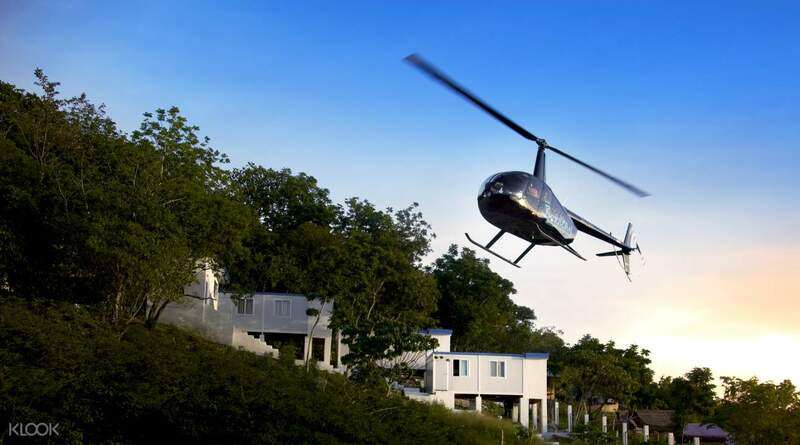 Enjoy the vertical ascent as the chopper takes to the sky and look out at as you begin to see Boracay from a unique perspective. You're going to want your camera with you - you don't want to miss out on capturing this island paradise from the air! we had a fast but smooth landing. the pilot was hospitable he allowed us to take photos during and after the activity . the tour guide is informative and entertaining. everything is awesome and worth it. for klook they must state that the preferred time and date are depending on the available slots and they may canvel it due to high demand . sending update/cancellation thru sms would be appreciated. we had a fast but smooth landing. the pilot was hospitable he allowed us to take photos during and after the activity . the tour guide is informative and entertaining. everything is awesome and worth it. for klook they must state that the preferred time and date are depending on the available slots and they may canvel it due to high demand . sending update/cancellation thru sms would be appreciated. Gréât expérience ! And cheap in comparaison with other contries. Gréât expérience ! And cheap in comparaison with other contries. This is a must try in Boracay. We paid for an additional 500 pesos to installed the 360 degrees video camera in the helicopter (it was supposed to be 1000 pesos, but pilot accidentally ended the video half way through after 5+ mins, so there was a 50% discount). I would suggest you not to plan any activity back to back as most of the activities we joined in Boracay has a delay of 30-60 mins. This is a must try in Boracay. We paid for an additional 500 pesos to installed the 360 degrees video camera in the helicopter (it was supposed to be 1000 pesos, but pilot accidentally ended the video half way through after 5+ mins, so there was a 50% discount). I would suggest you not to plan any activity back to back as most of the activities we joined in Boracay has a delay of 30-60 mins. excellent experience. provider contacted us through whatsapp to guide us to meeting point from start till end. pricing definitely beats other providers. would definitely look for juliessa & viaje royale when we are back. excellent experience. provider contacted us through whatsapp to guide us to meeting point from start till end. pricing definitely beats other providers. would definitely look for juliessa & viaje royale when we are back. It's one of the best things I did on this trip of mine to Boracay. 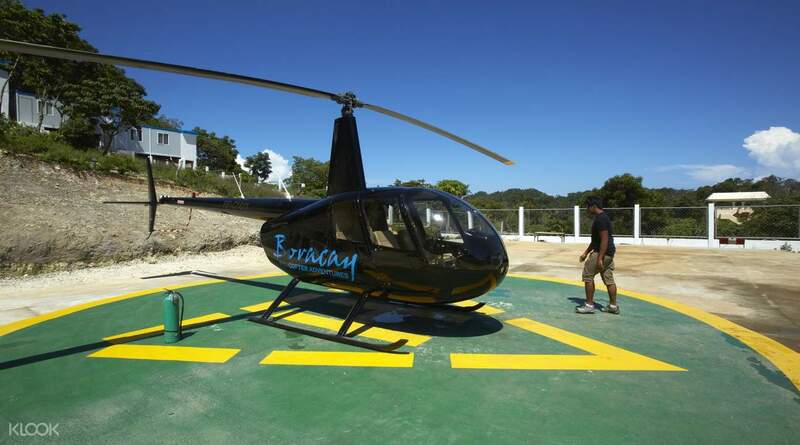 I'm a regular visitor to Boracay, but have never really don't the helicopter ride. This time I had some friends from out of town and took them. This is a definite must! It's one of the best things I did on this trip of mine to Boracay. 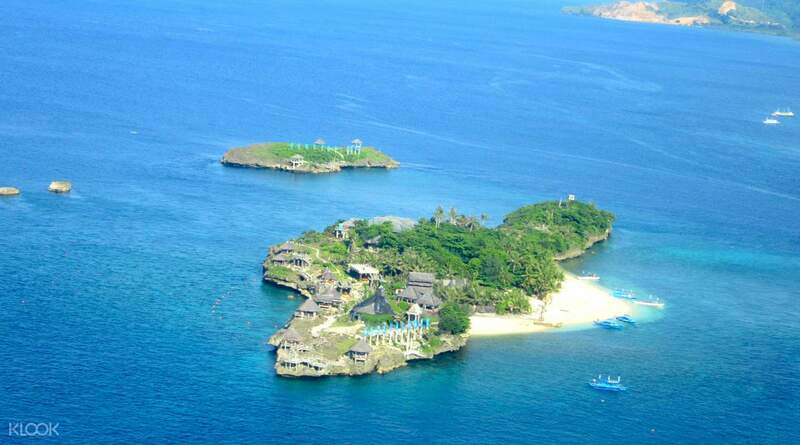 I'm a regular visitor to Boracay, but have never really don't the helicopter ride. This time I had some friends from out of town and took them. This is a definite must! hassle free when booking with klook you just need to present the voucher to the tourguide who will pick us up and then they will take us to the helicopter ride. hassle free when booking with klook you just need to present the voucher to the tourguide who will pick us up and then they will take us to the helicopter ride. 10 min helicopter tour (firstly i thought that its too short but it was enaught) was perfect and cheap comparing with another destinations. I can recommend this attraction to everyone. 10 min helicopter tour (firstly i thought that its too short but it was enaught) was perfect and cheap comparing with another destinations. I can recommend this attraction to everyone. It was a pleasant experience. The guide pick us up from our resort and send us back. The helicopter ride was amazing. I would definately do this again when im back here. Highy recommended! It was a pleasant experience. The guide pick us up from our resort and send us back. The helicopter ride was amazing. I would definately do this again when im back here. Highy recommended!